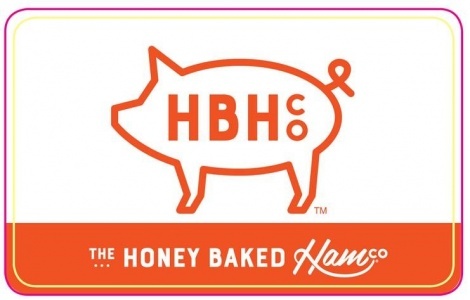 The Honey Baked Ham Company® is a premium food retailer best known for its authentically spiral-sliced Honey Baked Ham®, hand-crafted with its signature sweet and crunchy glaze. HoneyBaked also offers delicious sliced and glazed turkey breasts, heat-and-serve side dishes, desserts, party platters, lunch and catering. HoneyBaked has become a tradition on holiday tables for over 60 years. For important gatherings where you’re serving a special meal, Honey Baked Ham is truly the centerpiece that shows how much you care. Use HoneyBaked gift cards and egift cards at over 400 locations nationwide, as well as online for home delivery. National Gift Card is the best place for you to order Honey Baked Ham gift cards and egift cards in bulk. At NGC we are the experts in all things gift cards and can set up your gift card and egift card solutions program for you today. Please contact us for more information on HoneyBaked bulk, direct-to-recipient, or individual gift card fulfillment for your gift card program. Contact us online or call us at 888-472-8747 today! For Plastic: Protect and treat this card as you would cash. Lost, stolen or damaged cards cannot be replaced. This Gift Card is redeemable for merchandise or services at any participating Honey Baked Ham store location, or online at HoneyBaked.com. For card balances, call 1-877-848-5045 or visit HoneyBaked.com. This Gift Card is not redeemable for cash or credit except where required by law. This Gift Card does not expire nor does Honey Baked Ham charge fees. Use of this card constitutes acceptance of the terms and conditions. Terms and conditions can change without notice. This card is not valid for use toward corporate gifting purchases and in combination with corporate pricing or volume discounts. Use of this card constitutes acceptance of the Gift Card Terms and Conditions posted on Honeybaked.com.